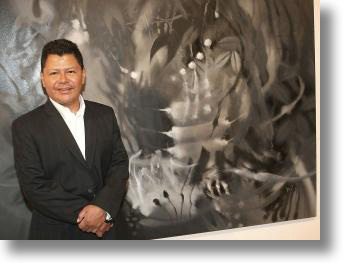 We are honored to introduce the masterful and dramatic oils of native Colombian painter Carlos Jacanamijoy. 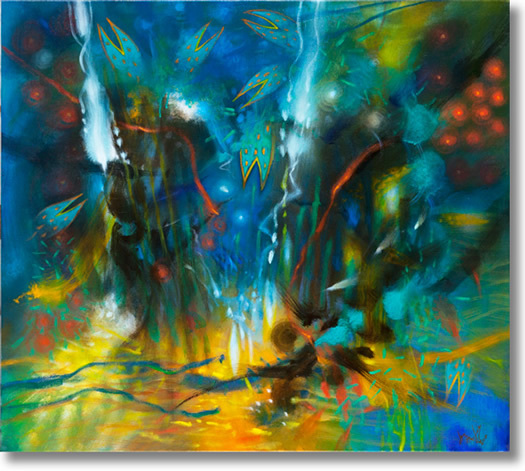 His dream-like windows to another world combine the personal lush experiences of a tribal healer's son - sensitized to the colors, sounds and organic forms of an Amazonian rainforest - with the vibrant cultural heritage of the Ingas people to whom he belongs. 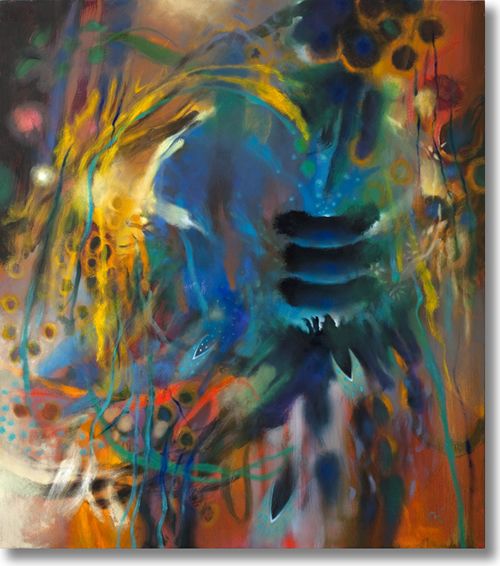 Jacanamijoy's expressive, atmospheric paintings hang in the permanent collection of the Smithsonian National Museum of the American Indian in Washington, D.C., USA. 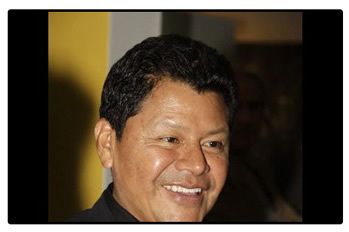 Jaca, as he is familiarly known, is the first Colombian artist from an indigenous background to win international recognition. "It is this constant trail of memory and dreams passing by in my mind when I am in front of that other window, the empty canvas." 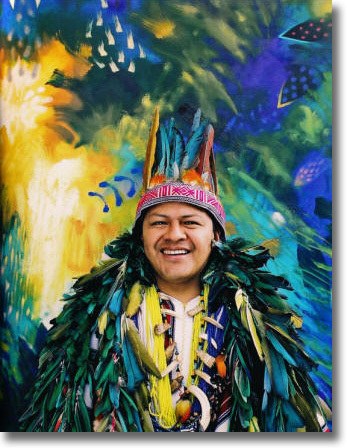 "Gifted with an extraordinary skill in the use of oils, his pictures are full of color, reflections, and movement…it is evident that Jacanamijoy’s original works embrace both nature and the heritage of his ancestors…"